8am Via the wonders of Instapaper and Hard Copy, I read an old New Yorker profile of Raymond Carver, written by his friend Richard Ford. This is something of a dream article for me. It is an incredibly warm and touching portrait. 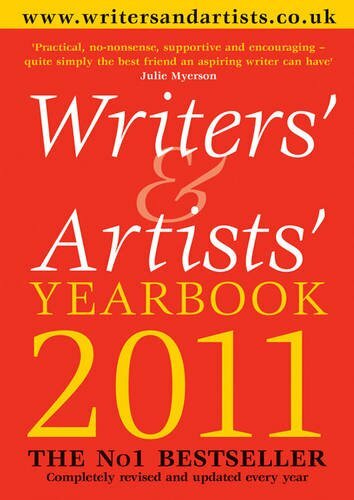 Lunchtime I have a read through a newly purchased copy of the Writers’ & Artists’ Yearbook. There seems to be a ton of useful information, in the articles as much as in the directory itself. I wonder if this purchase is a sign that I’m starting to take this writing lark seriously, or if it is just another distraction tactic to avoid having to actually, y’know, write. 5.30pm Read more Brooklyn. It is just getting better and better. Sometimes I labour my way through books. This one will be finished in no time. 9.00pm Telly time! Hurrah for the big glowing screen! My Significant Other and I usually use our TV time for unwinding, and enjoy a bit of brain-dead TV. Last night was a bit of an exception. We caught a documentary on the first night of the Blitz. Living in London, in a house that *just* avoided getting bombed (the next few houses were), this obviously feels quite close to home. But the sheer scale of the bombing and devastation is hard to comprehend. Hearing just a few stories of the terror of that first night offers a little insight, but I doubt any of us can really, truly understand it, unless we were there. Next came This is England 86, Shane Meadows’ TV follow-up to his successful film. It was beautifully shot, and set the story up nicely, but the jury is still out on this one. I wasn’t sure there was a whole lot of substance yet, and was a little distracted by the period elements. I guess it is a sign of getting old when there are period dramas set in your own lifetime. A real achievement to get the whole cast back, though. Finally, the first 20 minutes of the film Footloose, to fulfil the minimum brain-dead TV quota. Somehow, I’ve avoided this film up to this point. Shamefully, I want to see all of it now. I’m enjoying these posts; keep ’em coming please. Glad to read that the yearbook contains some good info; I’ve just ordered my own copy and, with a bit of luck I’ll be reading through it later today wondering, just like you, if it’s a sign of me taking things seriously or simply avoiding putting pen to paper and keys to keyboard.